Custom cut for an exact fit and more durable than the factory mats, Lloyd Grand Sport Corvette Mats are just what your C6 Grand Sport needs to give it a little style and protect your floor at the same time. 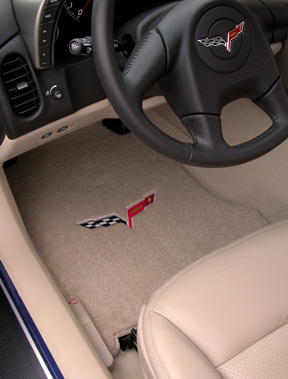 Lloyd Corvette Grand Sport Floor Mats are a perfect match to the color of your Corvette interior. 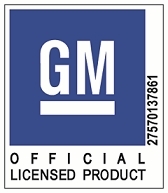 They feature the Corvette logo (licensed by Chevrolet) and are available in four styles: Plain (no logos), with the Grand Sport Logo (single logo), with the Corvette Flags (single logo), or with the Corvette Flags and the Grand Sport Logo (double logo). 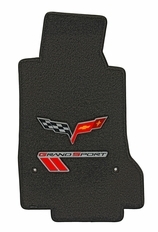 These Lloyd C6 Grand Sport Corvette Mats fit all C6 Grand Sport Chevy Corvettes from 2010-2013.